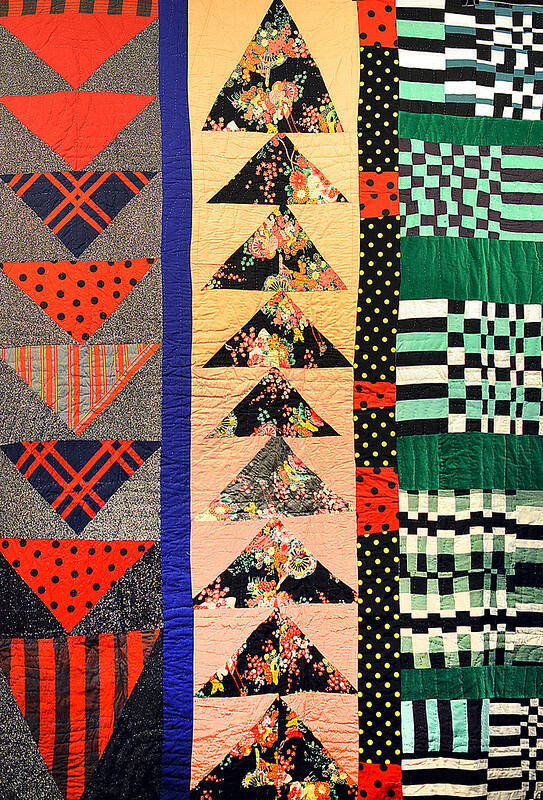 Eli Leon collects more than just quilts. 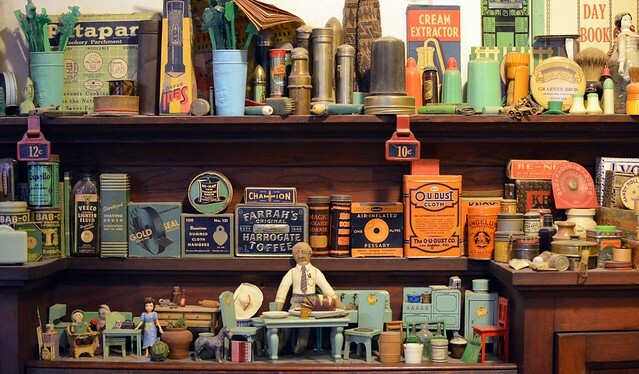 His living room is a delightful tableau of color and nostalgia. 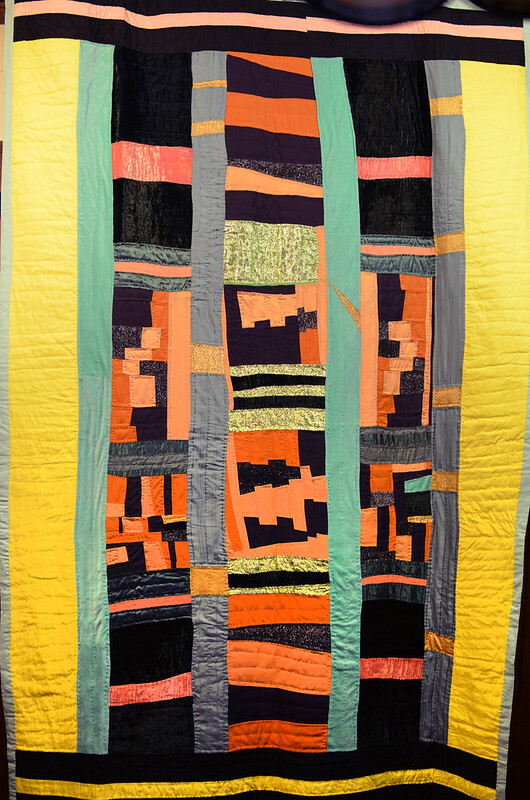 His living room is also the quilt viewing room. 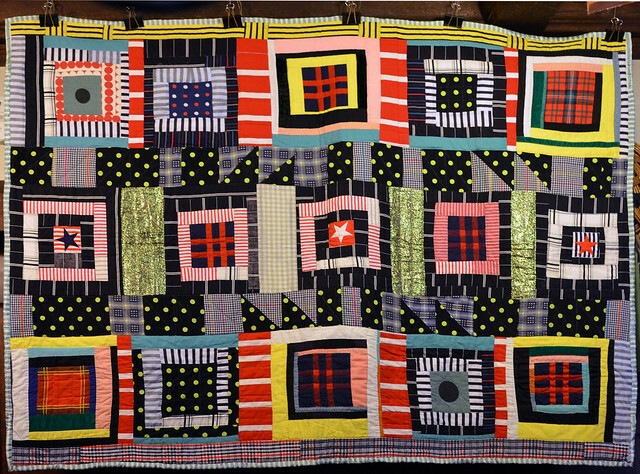 After bringing seven quilts --all he's ever made from-- from the basement, we hung them one-by-one along one end of the room from a row of heavy-duty clips using an antique step-ladder, then we sat back to enjoy the view. 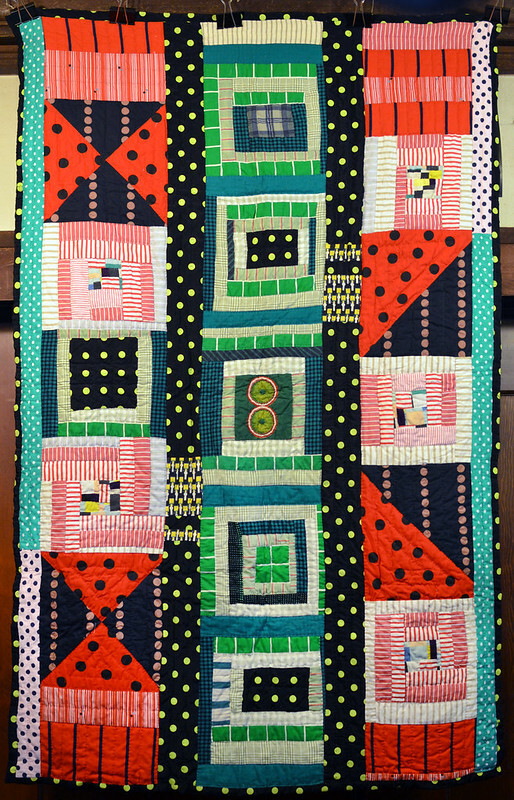 This is Eli's his first quilt! 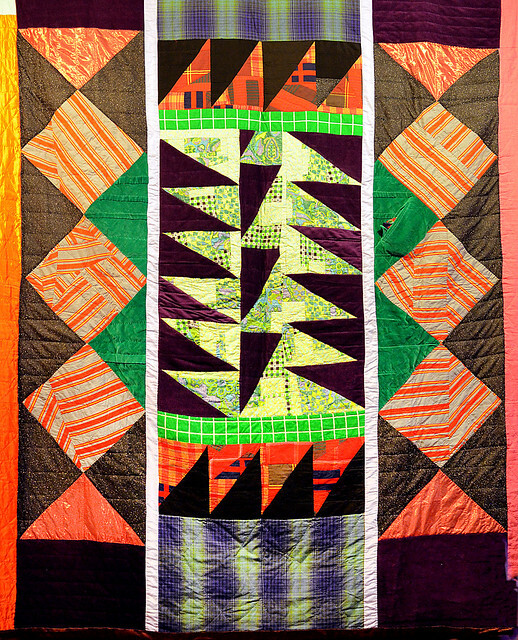 As you can see he was greatly influenced by improvisational style of the African-American quilts he collects. Don't you love the glitter and the pop and the awesome modern color scheme?! 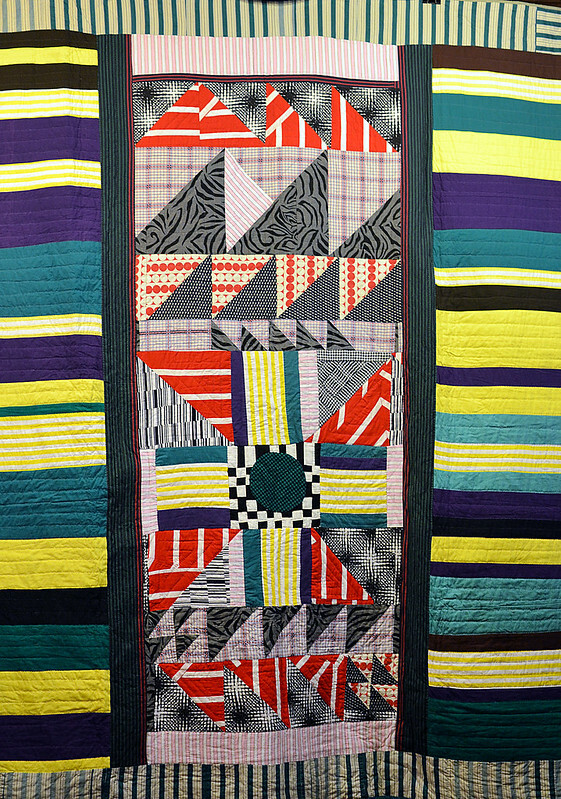 Eli made most of the quilts below during a one week period in 1989 while he was waiting to hear if he had received a Guggenheim Fellowship to continue the scholarship he started with the exhibition and catalog, Who'd a Thought It: Improvisation in African-American Quiltmaking . 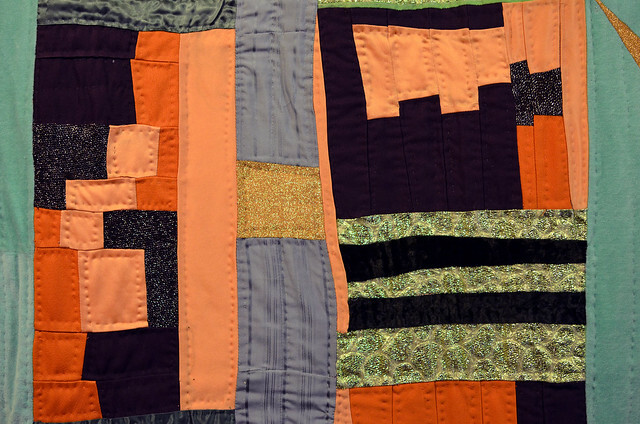 I've interspersed Eli's own quilts with excerpts from his catalogs about the improvisational process of the African-American quilt makers whose work he collected and exhibited. 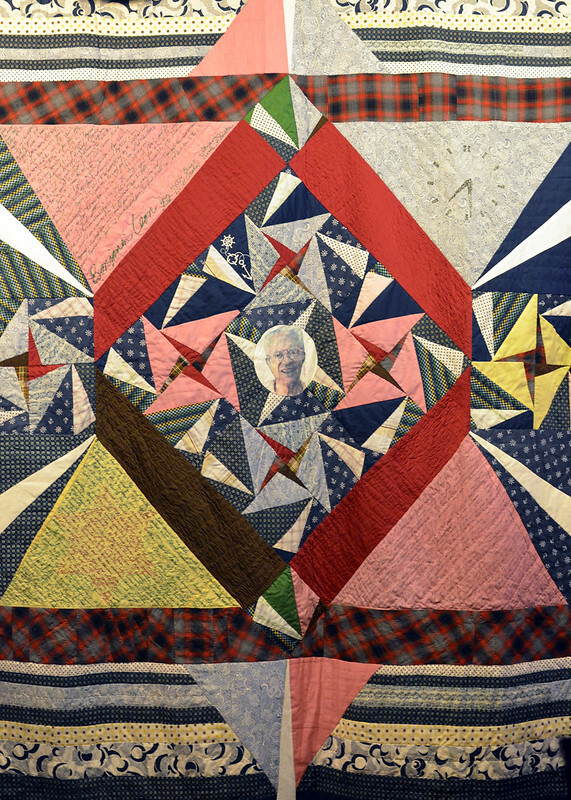 On creating what I call the "rhythm of attention:"
Eli gleaned the materials for the quilts above from flea markets and thrift stores, but the memorial quilt below was made from Eli's father's clothes two years after his death. So sweet! I had a fantastic visit with Eli. 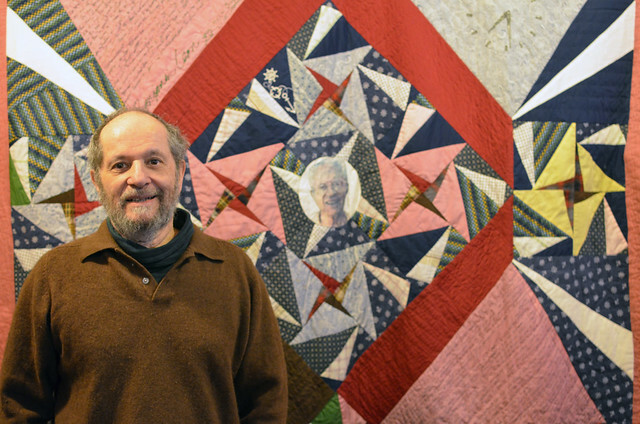 He is such a unique person and a visionary curator and artist --completely devoted to the quilts he's loved and collected for almost a half-century and to the quilt makers who made them. His work has altered the path of my life and I'm sure of many others. Thanks Eli! Oh in case you are wondering --he won that Guggenheim!